The day has finally arrived! Crochet Dynamite: Argyle Crochet is live in the Kindle store on Amazon.com!! And best of all, it's available for FREE today!! So go download it, right now!!! Even if you don't have a Kindle, Amazon has free software so you can read the book on your computer, smartphone or tablet! Whew. That was a lot of exclamation points. I couldn't help it. I'm really excited. In this fun new book from the Crochet Dynamite line, Jaime will show you step-by-step how to make gorgeous argyle crochet projects using variegated yarn! 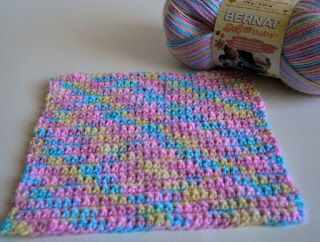 While this isn't a quick-and-easy technique, it's beginner friendly since there are only two stitches that are used to create the pattern: chain stitch and single crochet. 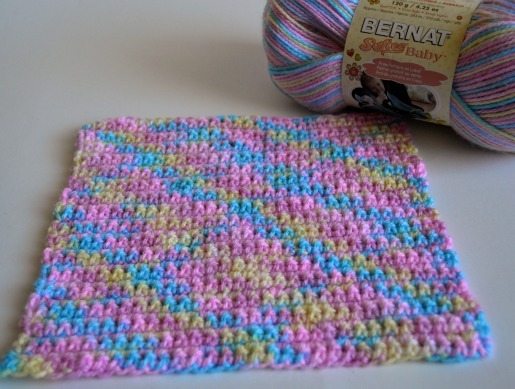 Even very experienced crochet artists will find this technique challenging and fun because it requires a meticulous eye for detail, and playing with so many colors without having to weave in ends is just plain fun! And list of yarns that will, and won't work with this technique, and instructions on how to tell if your favorite variegated yarn will work. This book is not for the faint of heart, but if you've got patience and determination you'll soon be impressing your friends and family with your fantastic Argyle Crochet! Woo hoo!!! I know I said it before, but I am SO excited. 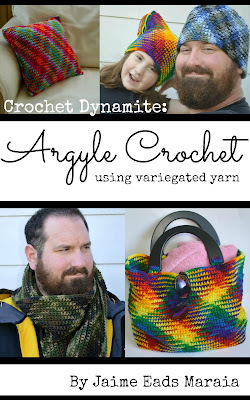 Because it's not just FREE Crochet Dynamite: Argyle Crochet day... It's my one year Blogeversary!! Crochet Dynamite is officially one year old!!! But that's not why I'm excited. It's because I have a surprise for you. 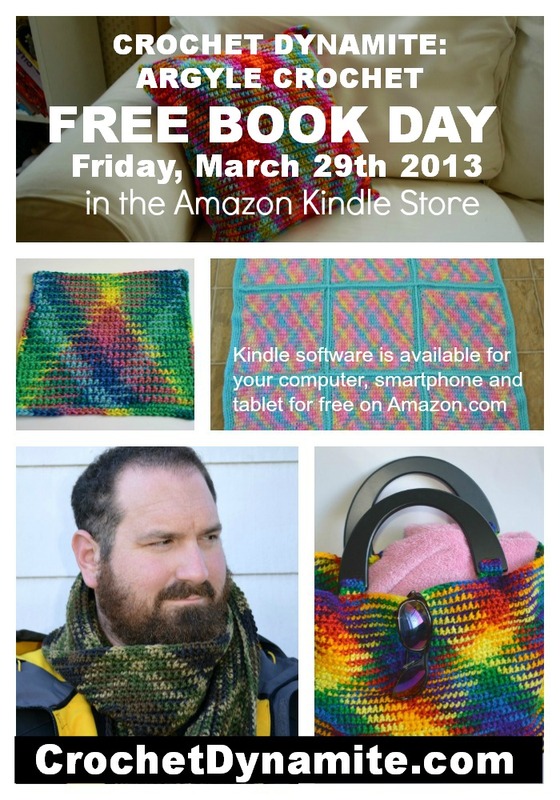 In celebration of my Blogeversary I've decided to make it FREE CROCHET DYNAMITE BOOKS DAY!!! All of my books are available for FREE today (and the crowd goes wild!!)!! But wait, there's more! While I was working on this book I bought a lot of variegated yarn. Like more yarn than one person should own. Like WAY too much yarn. Which means that I have a whole lot of awesome variegated yarn that would be just perfect to use with all of the projects in my new book, Crochet Dynamite: Argyle Crochet, but it's taking up WAY too much space in my art studio (otherwise known as my dining room). 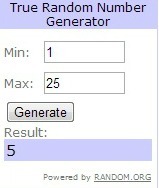 So, I'm going to bundle it up into 3 giveaway prizes! 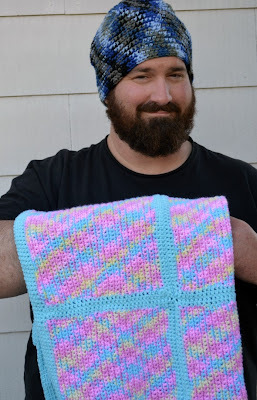 If you'd like to enter to win one of the prizes, please download Crochet Dynamite: Argyle Crochet (and any of the other books if you don't already have them), and then come back and leave me a comment with your contact information! It's that easy! Much like the books, the giveaway contest ends at midnight PST tonight, so make sure you enter!!! One comment per person, please!! I'll use Random.org to pick a winner tomorrow morning. I'm so happy with it! 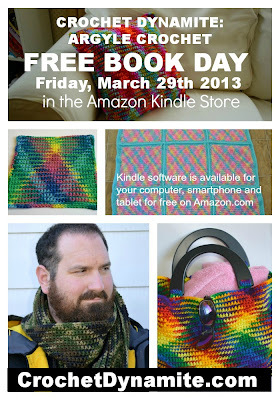 So mark you calenders, my FREE BOOK DAY for the new Crochet Dynamite: Argyle Crochet book is THIS Friday, March 29th! I've been a busy, busy gal this last week. It seems like every free moment I have is spent crocheting away. I've got multiple skeins strewn around the house and I just bounce from room to room and pick up a project and work away until it's time to change rooms. And when I'm not at home it's even worse. I've crocheted on a train, on a subway, in museums, in the lounge at my mechanic's while I waited for the car to be fixed up, on the lawn at Mims's school, and I would have crocheted at the movies but the popcorn makes my fingers too greasy. LOL!! I'm finally done with all of my projects for the argyle book, which looks like it's going to be ready in time to go out next week for my ONE YEAR BLOGEVERSARY! Woot! I'm planning to offer it as a FREE download on Amazon on the 29th. I'm so excited! In the meantime, I was thinking of having a two big giveaways next week, plus some small giveaways... I thought I might enter everyone who helped me promote the new book into one drawing for a $20 gift card to Joann's or Michaels. Then I thought I'd do another giveaway for a second $20 gift card for all of the lovely people who leave a review of the new book on Amazon (or if it's a lovely critique, send it to me directly so that I can improve the book for everyone). Then I thought I'd do a bunch of small giveaways and enter anyone who tells me that they downloaded the book. I ended up with a ton of leftover yarn from this book (some of it doesn't work for this technique, some of it I just didn't use) and I thought I'd clear out my artist space (otherwise known as the dining room) and share the yarn-y love. Okay, so let me know what you think. I've got to get back to work on the book (one week left!) but I'll check in regularly to see what you think. And in the meantime, you can check out a tiny preview of what's coming! This is Jake. He's a good sport. I love the way his hat turned out. I think it looks so cool. He's holding the (finally!) finished argyle baby blanket. I have to say I was surprised at how crisp and awesomely different it turned out. I am so excited about this book, Dynamos! I've been working on my argyle crochet book. It looks like it's going to be about a dozen (all new!) patterns. Yay! As an author, I feel like I need all of my books to be as close to perfect as I can make them, but as a blogger, I feel like I need to share all of my experiments, even the ones that fail. Lucky for me, I've got the opportunity to share all the failures here, and still can be a perfect "expert" in the books. Best of both worlds! 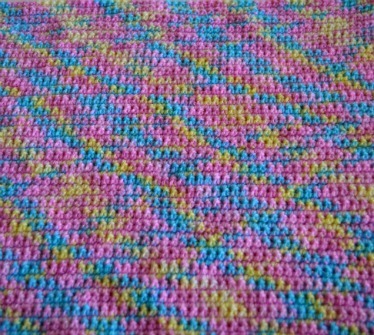 I have been working on a baby blanket. I wanted to do a big center piece of argyle, and then put a solid color border around the outside, and maybe run a fat satin ribbon through the edging. Totes adorable, right?! I was so excited when my practice swatch turned out so sweet. It's pretty awful. I had to hide it away for a few days so I wouldn't have to look at it while I tried to figure out what I was going to do with it. I've finally decided to frog the whole thing, and do the blanket in patches, which will still look cute, and the argyle will stay precise (which is the whole point of it). I think I've finally figured out how I went hideously wrong with this piece. First off, it's a baby yarn, which means it's a narrower yarn and has shorter lengths for each color (as opposed to worsted weight yarn), which makes it harder to control period. And I used a size g hook, instead of a size d hook (or other smaller sized hook), which added to the difficulty since it made the short color lengths even harder to control. I will never say that I'm happy that this thing turned out so terrible, but I'm glad that I now know the outer limits of what's possible with this technique. Ultimately, it's going to make a better book, and hopefully it will save all of you from spending 3 days of single crochet that you have to frog! LOL!!! Okay, so I've got to get ready for my sister's baby shower, so I'm going to go now. I hope you all have a wonderful, magical weekend, filled with at least two unexpectedly delightful surprises! 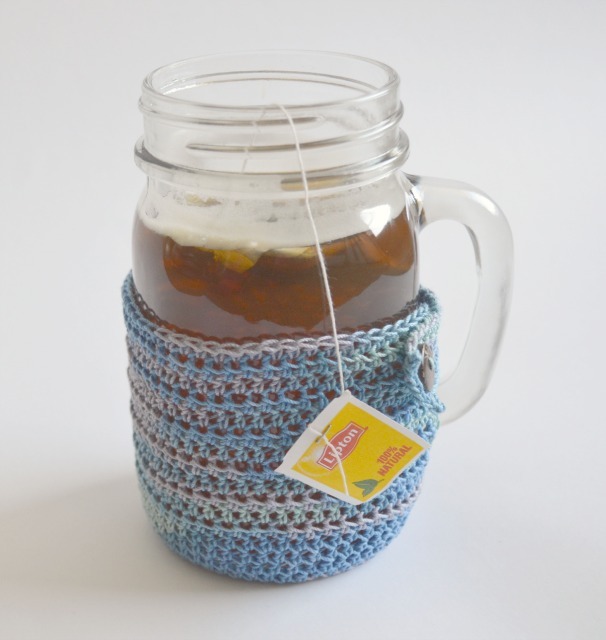 Last month I got the amazing opportunity to work with the awesome people over at Fillmore Jars to design a cozy for my very fave Mason Jar Mug! They even let me do a guest post! So, go check out the cool stuff they've got, grab my free pattern, and enter their giveaway to win one for yourself (all the cozy, none of the work!!)! My guest post is HERE. On a totally different subject, I've been working like mad to get the argyle crochet book going. I'm tentatively looking at March 29th as my publication date (free books for Dynamos, yo!) which is my first blogeversary! It's fun, but some of the larger pieces I'd planned are not going as well as I'd hoped. I'll update you in a day or two, when I figure out what went wrong! LOL!!! ...And seriously, if you haven't entered the giveaway, go do it now!